The West African Examinations Council (WAEC) have confirmed Ademola Adeleke sat for 1981 exams, says he scored F9 in English. 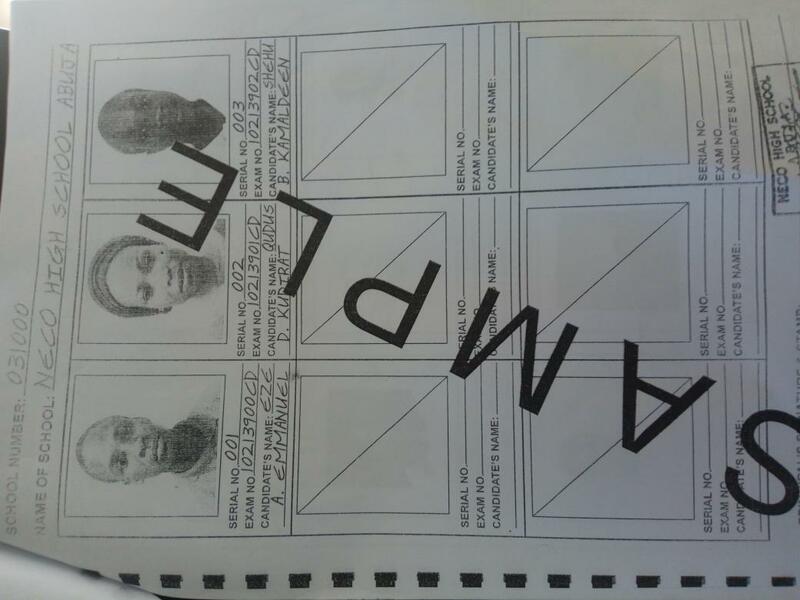 The WAEC confirmed this before a High Court of the Federal Capital Territory in Bwari, Abuja that the candidate of the Peoples Democratic Party (PDP), Ademola Adeleke, sat for its examination in 1981. 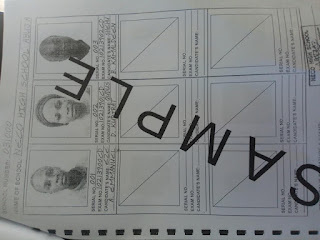 This is in compliance with an order issued by Justice Othman Musa on Tuesday, September 11th. 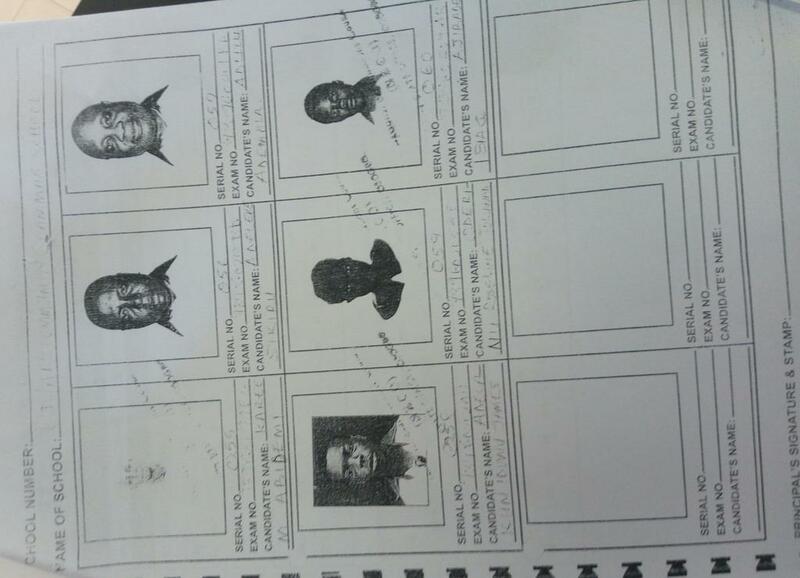 In the results attached to the documents filed by WAEC, Adeleke was listed as number 149 out of the 221 candidates that sat for the May/June 1981 examinations of the Council at Ede Muslim High School in Ede, Osun State. The results showed that he sat for only English Language in which he had F9. He did not sit for other registered subjects which included Mathematics, Literature in English, Islamic Knowledge and Geography. He also did not sit for Economics and Biology. Justice Othman later ordered WAEC to swear to an affidavit either denying or confirming that Adeleke, an incumbent senator representing Osun West Senatorial District in the Senate, sat for the Council’s May/June 1981 examinations conducted by the Council at Ede Muslim High School in Ede, Osun State. Also that WAEC should file the ledger and the verifying affidavits within five days of being served with the enrolled order. In an affidavit deposed to by the Deputy Registrar/Head of School Examination Department, WAEC, Henry Sunday Adewunmi Osindeinde, and filed in response to the court’s September 11 ruling, the examination body confirmed that Adeleke sat for the May/June 1981 at Ede Muslim High School, Yidi Road, Ede. Osideinde stated that the examination centre number was 19645 while Adeleke’s number as a candidate in the centre was 149. 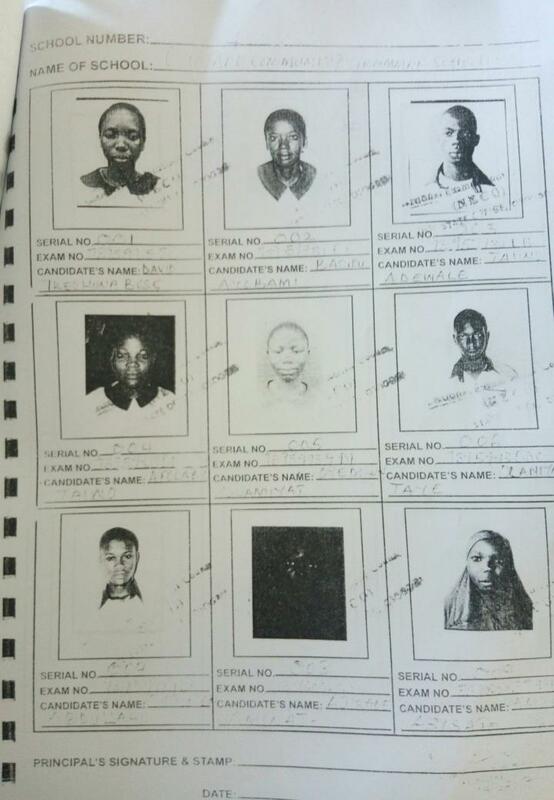 WAEC attached a copy of the results of all 221 candidates that sat for the May/June 1981 in the centre at Ede Muslim High School. “The said candidate named in this suit known as Adeleke Ademola, with Centre Number 19645 and Candidate Number 149, indeed sat for the Senior Secondary School Certificate Examination in May/June 1981 conducted by the council at Ede Muslim High School situate at P. O. Box 6 Yidi Road, Ede, State of Osun. In agreement the plaintiffs’ lawyer, Bankole Komolafe and the counsel for Adeleke, Nathaniel Oke, SAN, have agreed to adjourned till September 25th. Meanwhile, the Nigeria Police have invited Ademola Adeleke for questioning on exam malpractice carried out by Ademola Adeleke, his brother Sikiru Adeleke and three others. The police according to Public Relations Officer Jimoh Moshood is calling Ademola Adeleke to report to their office on crimes of Examination Malpractice, Criminal Conspiracy, Personation, Breach of Duty, Aiding and Abetting. PRESS BRIEFING ON EXAMINATION MALPRACTICE CASE AGAINST SENATOR ADEMOLA ADELEKE. Examination Malpractice, Criminal Conspiracy, Personation, Breach of Duty, Aiding and Abetting against Senator Ademola Adeleke (PDP Governorship Aspirant in the 22nd September, 2018 Gubernatorial Election in Osun State) and four (4) others namely; MR Sikiru Adeleke, Alhaji Aregbesola Mufutau (Principal of Ojo-Aro Community Grammar School, Egbedore LGA, Osun State), Mr Gbadamosi Thomas Ojo (School Staff responsible for the registration of candidates for NECO), Mr Dare Olutope (School Teacher who facilitated the commission of the crime). 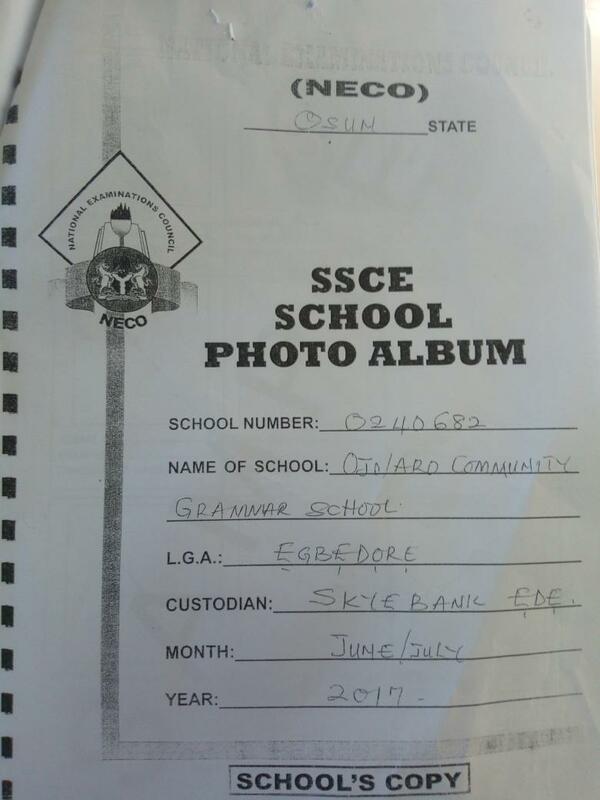 On 21st July 2017, the Osun State Police Intelligence Bureau (SIB) received and acted on an actionable intelligence about an ongoing examination malpractice involving Senator Ademola Adeleke and Sikiru Adeleke at OJO/Aro Community Grammar School in Osun state. When the Police operative arrived at the school, only Sikiru Adeleke was found seated for the examination while Senator Ademola Adeleke seat was vacant and was suspected to have escaped before the arrival of the Police operatives. Further investigation revealed that both Senator Ademola Adeleke and his brother Sikiru Adeleke registered and were sitting for the National Examination Council Examination (NECO) 2017 as internal candidates impersonating students of the School at the ages of 57years and 42years respectively. This crime was facilitated by the principal of the school, and two other members of staff of the school for which they are under investigation and being charged to court. The Principal of the school, Alhaji Aregbesola Mufutau, the staff responsible for registration, Mr Gbadamosi Thomas Ojo and a teacher Mr dare Olutope were arrested on 21 July 2017. Senator Ademola Adeleke was arrested on 27 July 2017 and Sikiru Adeleke was arrested on 8 August 2017. Senator Ademola Adeleke made cautionary statement and admitted that he registered for the 2017 NECO examinations as an internal student in the said school but he didn’t sit for the examination. However, Police investigation revealed the following prima facie and culpability facts against Senator Ademola Adeleke and four (4) others. i. Senator Ademola Adeleke made cautionary statement and admitted that he registered for the 2017 NECO examinations as an internal student in the said school and did not sit for the examination but have a result from NECO with Seven (7) Credit and One (1) Pass, a copy of which was obtained from NECO by the Police. ii. 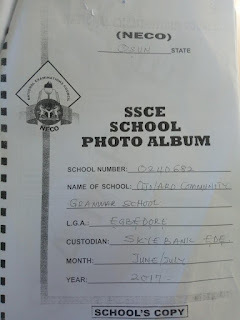 The Ojo/Aro 2017 NECO, SSCE school photo album (School’s copy), with Senator Ademola Adeleke and Sikiru Adeleke Photographs in school uniforms in the said album, Senator Ademola Adeleke in the NECO 2017 Result obtained by the Police claimed that he was born on 12th June 1997 but in his statement to the Police, senator Ademola Adeleke wrote 13th May 1960 as his Date of Birth. iii. The photographs of both Senator Ademola Adeleke and Sikiru Adeleke appearing side by side in the photo album have no NECO stamps on them. Senator Ademola Adeleke and four others were arrested, investigated, granted bail and being charged to court. Charges of Examination Malpractice, Criminal Conspiracy, Personation, Breach of Duty, Aiding and Abetting against Senator Ademola Adeleke (PDP Governorship Aspirant in the 22nd September, 2018 Gubernatorial Election in Osun State) and four (4) others namely; MR Sikiru Adeleke, Alhaji Aregbesola Mufutau (Principal of Ojo-Aro Community Grammar School, Egbedore LGA, Osun State), Mr Gbadamosi Thomas Ojo (School Staff responsible for the registration of candidates for NECO), Mr Dare Olutope (School Teacher who facilitated the commission of the crime) have been filed at the Federal High Court, Abuja under the Examination Malpractice Act, CAP E15, 2004 today, Wednesday, 19th September, 2018. Consequently, Senator Ademola Adeleke (PDP Governorship Aspirant in the 22nd September, 2018 Gubernatorial Election in Osun State) and four (4) others namely; MR Sikiru Adeleke, Alhaji Aregbesola Mufutau (Principal of Ojo-Aro Community Grammar School, Egbedore LGA, Osun State), Mr Gbadamosi Thomas Ojo (School Staff responsible for the registration of candidates for NECO), Mr Dare Olutope (School Teacher who facilitated the commission of the crime) are hereby advised in their own interest to report to the Special Investigation Panel, Force Headquarters, Abuja immediately for arraignment in court.